If you’re a regular at Fourth Street Live!, you know that a band playing on a stage in the street is a regular occurrence. But the party coming up April 19 marks a milestone event, as the third-annual Pints for Parkinson’s party spreads out over the entire complex. 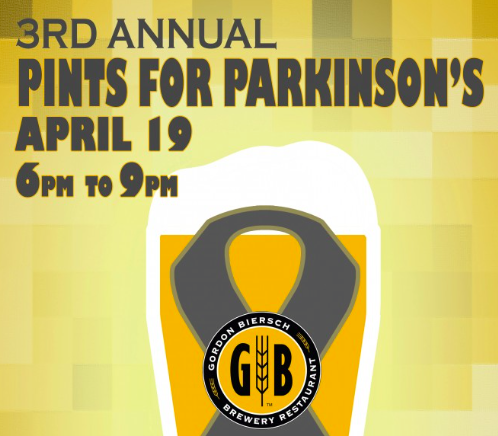 Jason Smith, the general manager at Gordon Biersch Brewery & Restaurant, started Pints for Parkinson’s at the 4SL spot shortly after he was diagnosed with an early onset form of the debilitating and potentially deadly disease. (If you’re not familiar with it, it’s the affliction borne by Muhammad Ali for many years.) Smith got involved in the fight against the disease by donating proceeds from one of the restaurant’s Pint Nights to the Parkinson’s Support Center of Kentuckiana. The larger party evolved from there. Last year, at the second event, Smith’s work to promote the party resulted in one of the largest crowds in the restaurant’s history, so much that he said he couldn’t have squeezed another person inside or out onto its patio space. The party attracted the attention of Cordish executive Ed Hartless, who en gaged in meetings with Smith to plan this year’s event, which will now encompass all of the entertainment complex. Ten percent of proceeds from sales at Fourth Street Live! restaurants, and all beer sales from a tent at the south end of the complex, will go to the cause. Smith said he raised $3,500 the first year, $10,000 in the second and hopes to break $20,000 this year. “Jason’s story is a great one, and when we heard about it, I said we would jump in in any way we could,” said Hartless. Smith is especially excited about the band at the top of the bill — national chart-topping Country-Americana band Jericho Woods. The trio of Breckenridge County natives was selected by the readers of Kentucky Living Magazine as the Commonwealth’s Favorite Performing Band last year. If you’ve been before, you can expect the return of the traditional tapping of the Maibok keg from Gordon Biersch as well. April is Parkinson’s Awareness Month, but Smith’s passion for the cause isn’t limited to four weeks. He’s organized pint nights in Bowling Green and Evansville, and partners with other local breweries to raise awareness. He’s even formed a 501-C-3 foundation to help distribute the funds raised. 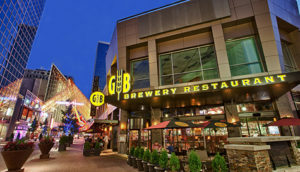 While Gordon Biersch is a national chain with 32 locations, Smith said the success of the Louisville store can be traced to its involvement in local events and causes. Every month, the restaurant hosts a Pint Night when all beer proceeds go to a local non-profit organization. He said the restaurant raised $80,000 for a dozen charities last year, and members of his team volunteered 200 service hours to community service projects. “Fourth Street Live has become more family friendly and community oriented, and being a part of the community has really helped our business,” said Smith. The Pints for Parkinson’s Charity Fundraiser is Wednesday, April 19, starting at 6 p.m. at Fourth Street Live! 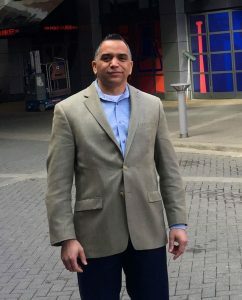 This entry was posted in Drink, Eat, Entertainment, Events, Featured, Local News, Louisville Restaurants and tagged Ed Hartless, Fourth Street Live, Gordon Biersch, Jason Smith, Pints for Parkinson's.